This is a horrifying and depressing story, but an important one. Richard Evans is a careful historian, not given to hyperbole and dramatic flourishes, and Sean Pratt matches his tone with a comfortable pace and even tone. Yet in its methodical way, the book lays out a gripping tale. One point Evans makes is that the Nazis did NOT come to power democratically; they never won more than about 38% of the popular vote. Their victory was a result of PR, brutal street violence, and "backstairs intrigue," with their participation in the electoral process mostly for show. Once in, they proceeded to infiltrate and dominate every aspect of German society, down to the smallest blue-collar singing club in the smallest rural village. Everything was made to point in the same direction in a massive program of "coordination." One of the most depressing aspects of this whole dismal saga, to me, is the way the Nazis were able to take over German culture, science, and higher education. Jewish musicians were fired; "non-Aryan" physicists and biologists were forced out of the universities and out of the country, to the great impoverishment of German science; philosophy was dominated by Martin Heidegger, who fully embraced the Nazi program. Gung-ho college students tore through bookshops and libraries, seizing "anti-German" material and throwing it onto a bonfire. I am not the target audience for this book. 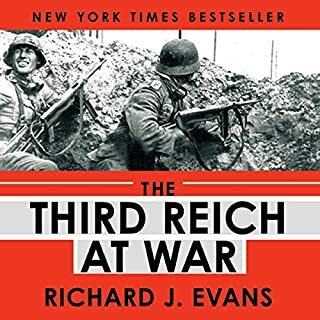 Evans says, in the preface, that his target are those who know little or nothing of this period and I have been reading about the lead-up to World War II for most of my adult life starting with Shirer's The Rise And Fall of the Third Reich (a book Evans does not think much of). I had not expected to learn very much new, but found how wrong I was about that. 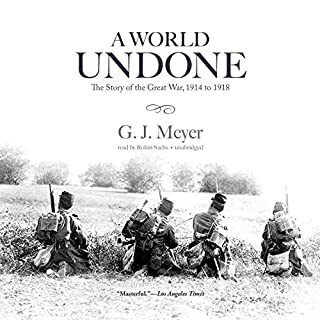 The first 1/3 of the book involves the period from the start of the Bismarck period through the end of World War I and does not involve any of the familiar names (Hitler, Goering, Gobbles, Hess, Himmler, etc). It does give the background that provided the fertile ground that allowed the Nazi movement to find purchase. 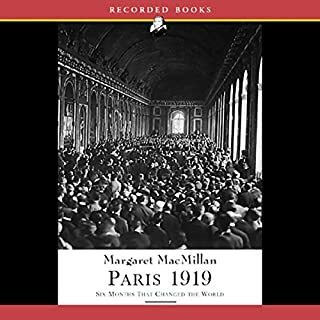 In doing so the author shows that the Nazi beliefs in anti-Semitism, anti-Marxism, anti-socialism, their disdain for democracy, their belief in pan-Germanism and their desire to find extra living space in the East were not new to German culture or beliefs, but had been around for a long time. And this foundation does much to explain the speed with which the Nazi movement gained ground and grew. 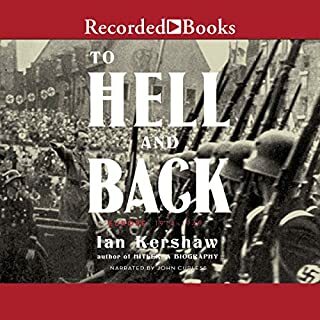 The remainder of this volume deals with the Nazis themselves, their allies, their opponents, their climb to power and the individuals involved. I have only two complaints about this book. The first concerns the author's decision to make no moral judgments about the morality of the Nazi actions. While I understand the desire to create a history that deals with facts rather than emotions, this decision seems to me to often ignore how basically evil the events being described were. The second complaint is with the uninspired reading by Sean Pratt. Most of the reading is monotone and, even more annoying, his reading contains pauses in the middle of sentences which have no contextual meaning and serve only to break-up the logical flow of thought. But these are minor concerns. 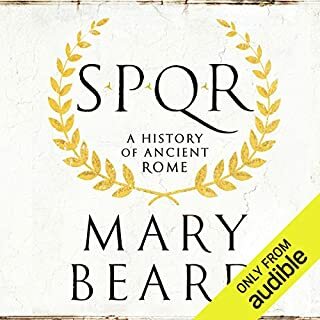 I am waiting for Audible to add the next volume of this history. This is a thorough and well-organized history of late Weimar Republic Germany. There are many disturbing similarities to 2010 America. My only gripe would be the narrator, who often pauses mid-sentence (not at a comma) and reminds one of a high school student. He mispronounces even some common words. To top it off, he narrates with a sarcastic tone which makes his mediocre reading ability even more annoying. BTW, you won't notice these things in your "sample listening." It will take you about an hour of listening for him to really begin getting on your nerves. Over the years, I have fancied myself as an amateur expert on WWII and the Third Reich. This tome proved their is so much to learn. This is the first volume that places the Third Reich in and time and space continuum, where factors inside and out of Germany molded the future of the country. 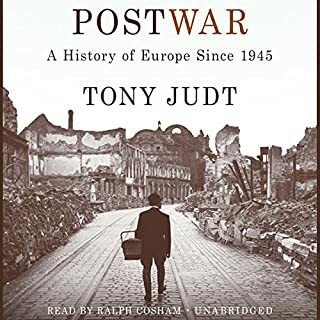 A closer look at Bismarck, the effects of WWI on the natinal psyche, the perceived failings of the Weimar Republic, the distressed world-wide economy, inherent German conservatism and nationalism, communist aggitation and latent anti-semitism conspired to make the Thrid Reich. 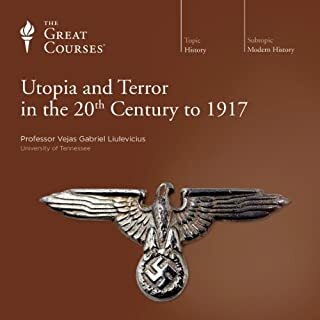 Read this book and you will understand how a minority party utilizing terror, scape-goatism and an emotional, not intellectual,appeal led Hitler to legal/consitutional power. Life is breathed into the main characters, deflecting the grainy photos and memories from the past. Some were complex, some were simple and some were conflcited as the played part in this tragic play. The Third Reich was not inevitable, because early on courageous people and forces could have taken a stand against evil and turned the Riech into a historical footnote. This production of Richard Evans great book is seriously hobbled by poor narration. Odd pauses and hesitations totally pull you out of the narrative. The text itself is excellent. If you are interested in this topic, Defying Hitler is a great memoir with a wonderful narrator. I am very pleased the Richard Evans Reich trilogy is available (pt 3 TBA). I am not so keen on the reader. Too many pauses in mid sentence. When he lands a full sentence without a pause it flows so much better. And there are some glaring pronunciation errors (Leon Trossky, etc). Still, to have this on audio is great. 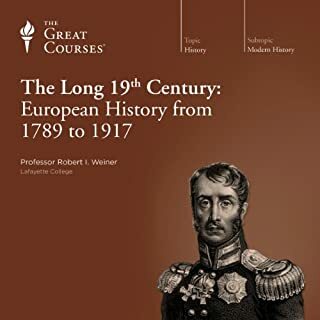 Having studied the Weimar era extensively, I am thrilled that this book is available! Much of what is discussed here was, at one time, only available in German, as I know only too well from my own years of research. 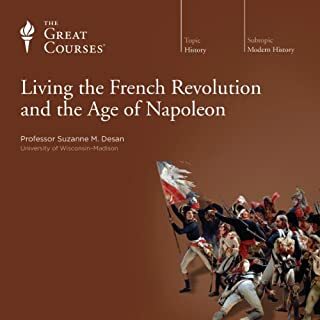 It is an outstanding book in every way, and I would recommend it to anyone, from those who have researched the era to those who are new to it. Yes, the narrator is abyssmal, but I have heard worse. Perhaps the trilogy will become a classic and we will have better narrators in the future. Until then, try to put up with Pratt or read the print edition because there are invaluable and relevant insights and historical lessons for us all in this series. Good book to get a feel for how Germany devolved into the tyranny of Hitler's dictatorship. I wish it would have delved more into the personal lives of those involved. Why did the Jews not revolt, stand up and not take it? It does go into how rights were steadily laken away. But it stops well before WWII. 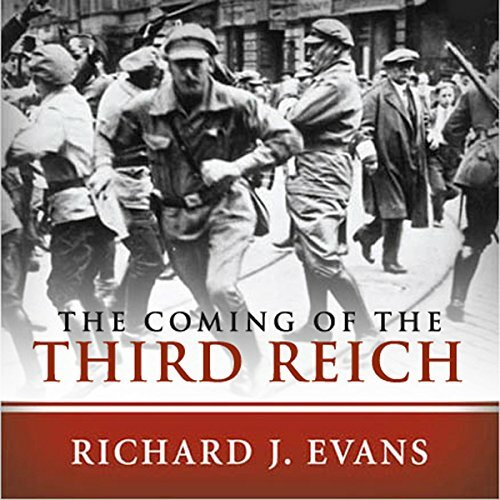 Understandable since it is titled "The Coming of the 3rd Reich". All in all a good read. This book is the first of a trilogy explaining how the Nazis gained power in Germany. It is an important, well written and accessible book. Unfortunately the alleged narrator (and I use that term lightly) manages to ruin it. He stumbles from word to word as though completely unaware that they are in any way connected to one another in things which we call 'sentences'. He manages to pause in all the wrong places as he drones his way through the book, systematically reducing it from fascinating information to monotonous drivel. Whatever this person does professionally he should return to it. Poor Richard Evans. Great writing, preposterous narration. The four stars go to the book with minus five black holes to the 'narrator'. 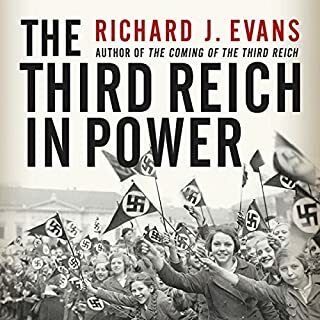 Without excess commentary or moralizing or hindsight judgement, Richard Evans relentlessly describes the descent of Germany into chaos and anarchy and the rise of Hitler and his political movement. 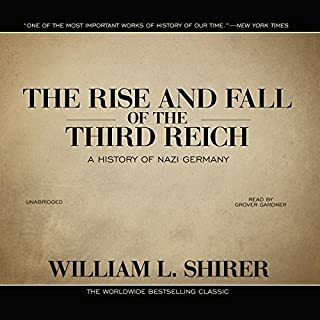 He takes time along the way to understand each of the major players who through assertion of will or neglect of responsibility allowed the Third Reich to rise and take control of Germany. 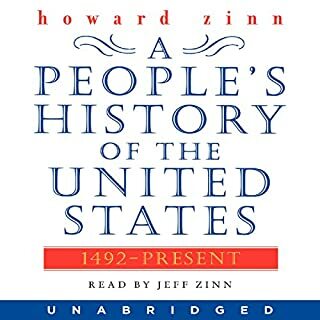 The narration is straightforward, clear and interesting. The prose is so well timed and so accurately paced that the style deserves it own accolades. The content is flawless as well, describing the political and economic realities that crushed Germany and made it ripe soil for a tyrannical government. Like any good work of history, it attempts to simply understand. And this is a great work of history. I'm reading the rest of the series, I can tell you that!